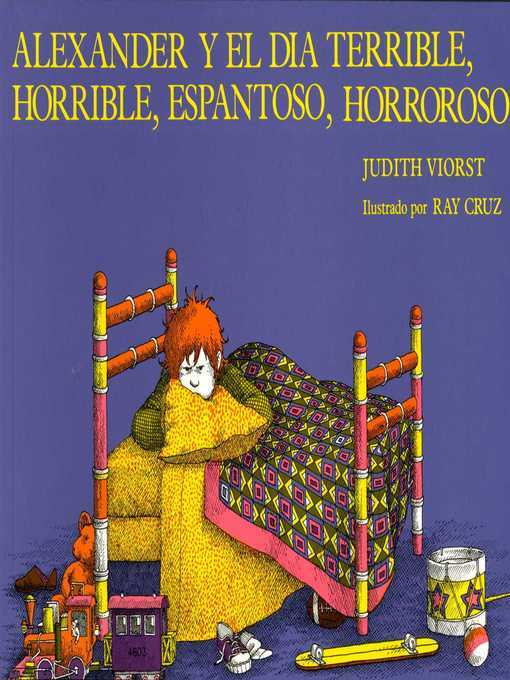 The item Alexander y el dia terrible, horrible, espantoso, horroroso : (Alexander and the Terrible, Horrible, No Good, Very Bad Day)., Judith Viorst, (ebook) represents a specific, individual, material embodiment of a distinct intellectual or artistic creation found in Charlotte Mecklenburg Library. Alexander y el dia terrible, horrible, espantoso, horroroso : (Alexander and the Terrible, Horrible, No Good, Very Bad Day). (Alexander and the Terrible, Horrible, No Good, Very Bad Day).